What is the Role of Cardiac Catheterization in Value-Based Care? What is the Role of Cardiac Cath in Value-Based Care? It’s an undeniable fact that the move to value-based care is changing cardiology. Cardiac catheterization, in particular, has evolved as appropriate use criteria and value-based care have continued to advance in the healthcare system. This once go-to procedure is now being replaced by new methods and less invasive techniques. In this post, we’ll take a look at where cardiac cath fits in today’s value-based landscape. 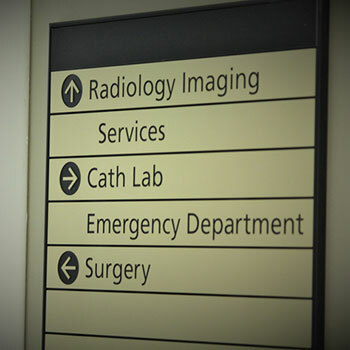 Years ago it was common for the cath lab to be the first stop for patients experiencing symptoms of cardiovascular disease. It was a valuable diagnostic procedure with solid reimbursements and relatively little oversight from payers. Today, the rules have changed. In many ways, the cardiac cath landscape changed after the American College of Cardiology published the 2009 AUC for Coronary Revascularization. As Medicare and CMS developed their guidelines, the criteria became more and more a part of the cardiology landscape. Additionally, the way payers approach cardiac catheterization has continued to evolve. Increased scrutiny is being added to the procedure while reimbursement rates continue to decline. Lately, these factors have been compounded as significant penalties for patient readmission and not following AUC have been added. It’s said that necessity is the mother of invention, and this has held true for how cardiologists are approaching cardiac catheterization in the current market. We are seeing a rise of new non-invasive diagnostic tools as a way to mitigate lower reimbursements, penalties, and improve patient care. Cath is still an essential tool for both patients and cardiologists, but now physicians are wanting more evidence and clarity before ordering the test. Non-invasively obtaining proof that disease exists has now become step one in the process. The impetus behind these changes makes sense on a number of levels. The net result of doing more tests before the cath lab is that cardiologists are performing fewer invasive and unnecessary procedures. This is good for the patients and the healthcare system as a whole. While a reduced study volume does affect the bottom line, it is also resulting in the practice experiencing lower readmission fees and penalties for not following AUC. Many cardiologists are choosing to utilize fractional flow reserve, or FFR, as a way to diagnose heart disease and guide clinical management. It non-invasively measures the difference between the maximum achievable blood flow in the presence of stenosis and the theoretical normal maximum blood flow in terms of pressure using coronary artery images. FFR simulation is able to more accurately identify those patients who have a high likelihood of disease. So, not only does the method comply with the stricter enforcement of AUC, but it has also improved the percentage of catheterizations that ultimately result in an intervention. Nuclear SPECT studies play a vital role in the diagnosis of cardiovascular disease. The nature of SPECT makes it a perfect fit for value-based care, but too often the clinical value of SPECT depended on the reader. New advances in SPECT imaging are bringing Attenuation Correction into this modality. The addition of Attenuation Correction is making images clearer and easier to read. The studies and the cameras, such as the Digirad X-ACT+, are considerably more affordable compared to traditional CT imaging. This creates a tremendous amount of value – both clinically and for the healthcare system. As imaging technology continues to advance, Cardiac PET MPI is gaining more awareness in today’s clinical market. In recent years, the modality has seen growth and is generating interest among cardiologists. While the diagnostic benefits of Cardiac PET are clear, the cost and complexity of offering the modality have kept it from being a realistic option for most practices. It’s also important to consider how medical therapy is changing cardiology. Research has shown that moving straight to medication as opposed to investing in diagnostic procedures is an effective way to treat patients. Cardiac Catheterization and Percutaneous Coronary Intervention will obviously continue to play a vital role in cardiology. As technology continues to advance, non-invasive methods will become more effective and more affordable. As an industry, we may continue to see fewer cath tests ordered but they will be ordered with more clinical confidence. In the end, these changes benefit the patient while also reducing the financial risk to the practice and the healthcare industry as a whole. This post was written in partnership with MedAxiom and includes contributions from Jacob Turmell DNP, RN, NP-C, ACNS-BC, CCRN-CMC and Joel Sauer.